Sport, Events, Musical and concert worship. Ticketss online. Concert tickets for concerts and musicals worldwide online here. Musical, concert and sport tickets. Tickets for Event, Musicals, Sport, worship. 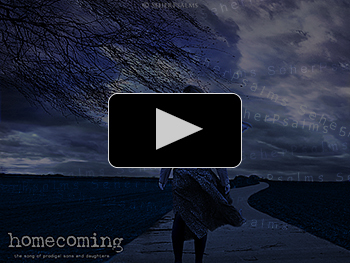 Homecoming - the song of SeherPsalms: literally setting, resp. based on: Lk 15:11-21, Mt 16:26, Ro 6:23 My God, I’m coming to thee. Just as I am I stand here. Nothing’s still hale, nothing’s still clean. God, I’m stinking of swine. Refr.) Father, I’m a sinner before the heaven and thee. Father, I am a sinner before the heaven and thee. Lonesome and void I come to you. Father hear my cry. 1) I have had my life in my hand. Was living my own dream. Bucks and party, dirt of this world. Nothing prevented me once. 2) I did rule by untruth and money. But what’s profited for man, if he shall gain all of this world and has lost his soul. 3) Now my inheritance dissipates. Life is botched and odious. Wages of sin: hardship and pain. I must to father go home! Activate poss. >Plug-ins starting automatically< in your Browser-Settings. For this song we offer you the special arrangement with a background vocal. At SongSelect by CCLI you'll find the single melody-line. If you download the MP3's on our own shop, you get the MP3 including our especially graphical art work of this song to be shown on screen of your device while playing.